HR capacity management is real. or have it done for you. 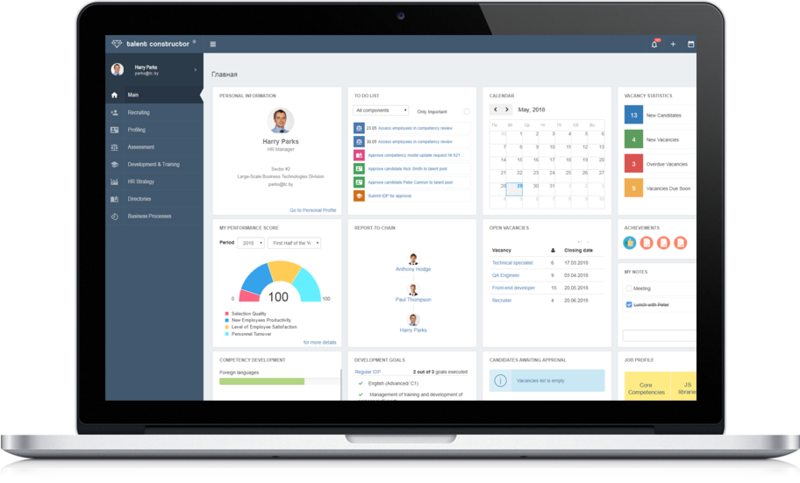 Talent Constructor® is a software product family developed by IBA Group for effective management of organizational capacity. It is designed for innovative mid–size and large–scale companies that have an array of different competencies and rely on employee development for their success in the evolving business environment. 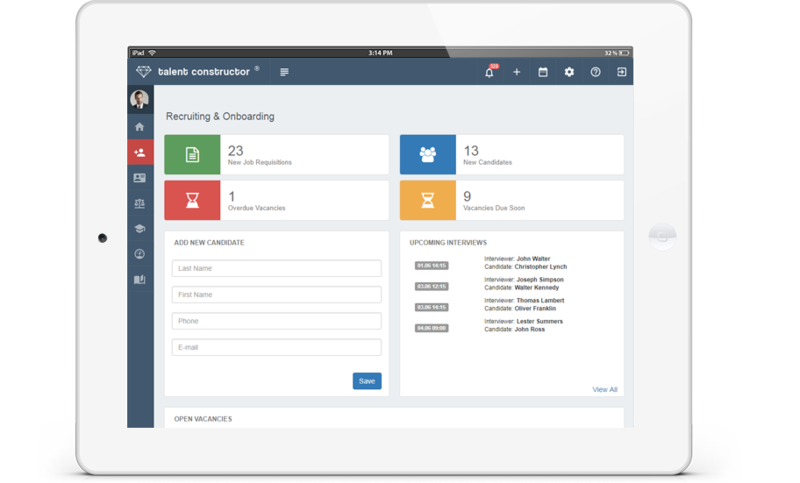 Talent Constructor® is an ERP system in which a user-friendly interface is combined with powerful functionality. 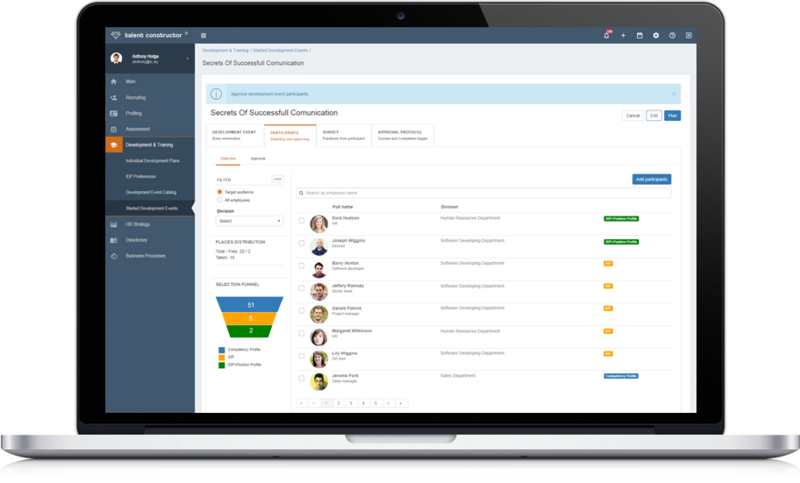 Talent Constructor® is an engine driving the human resource management evolution. All TC products are easily integrated into the existing organizational HRM and can be incorporated whenever needed. Talent Constructor® can be delivered as packaged product, customized solution and ready to use cloud service. 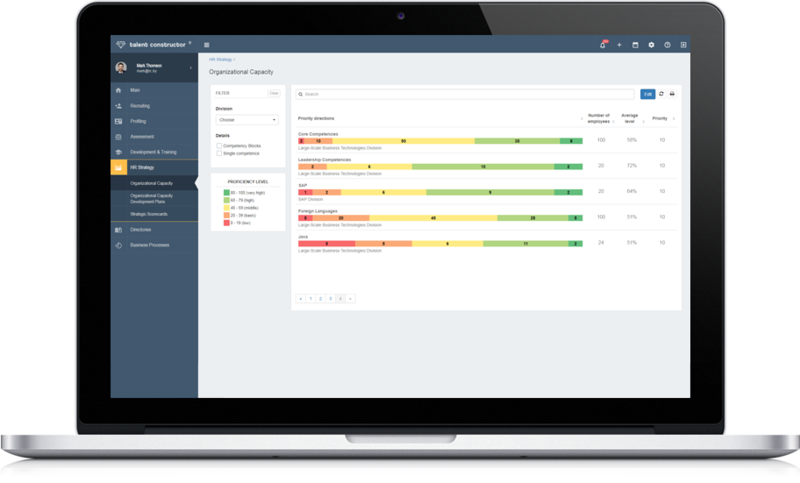 Today the Talent Constructor® family consists of seven products based on a single core software platform. 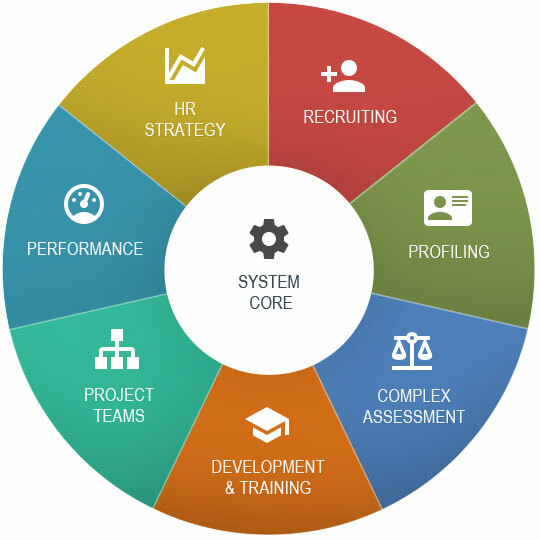 Core is the system software foundation, which can host any combination of Talent Constructor products. The Core consists of Platform, User Portal and Competency Model. Competency framework development through employee initiative. Recruiting ensures timely personnel recruitment. It provides for fast personnel sourcing, thorough selection and successful onboarding. Profiling ensures flexible position profiling in compliance with statutory requirements. 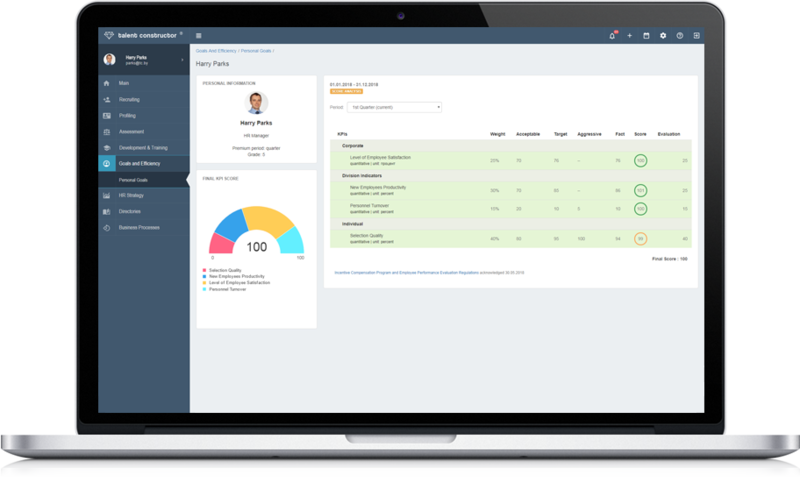 The product allows easy grouping of competencies for efficient position profiling. Assessment provides insight into the company’s staff capabilities and limitations. It is designed to ensure the accuracy and transparency of assessment and enhance employee confidence in the appraisal system. Applicable for organizations with any type of organizational structure. Development & Training helps the company receive return on investment in staff development. With this product it is easy to plan and organize talent development. Prompt identification of events matching competency development needs. 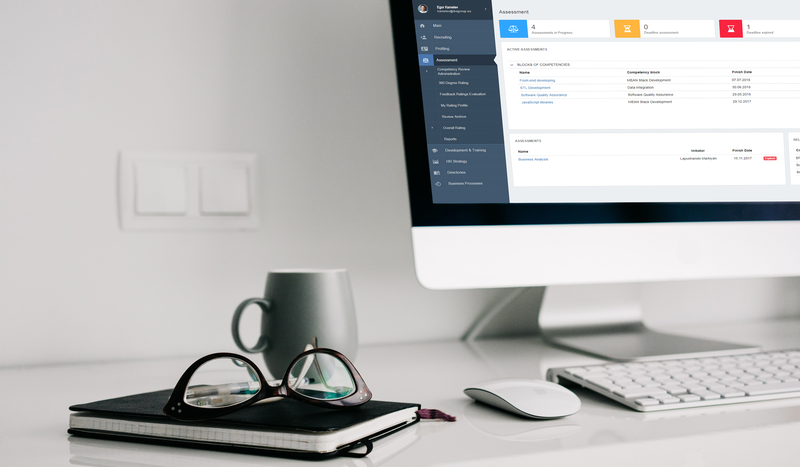 Project teams is designed for molding high-performance teams. It provides for competent analysis, and efficient personnel allocation to positions. HR support of the team throughout the project life cycle. Goals and Performance allows estimating of the actual staff performance. The use of the product will help the company form a reliable foundation for staff compensation and benefits. 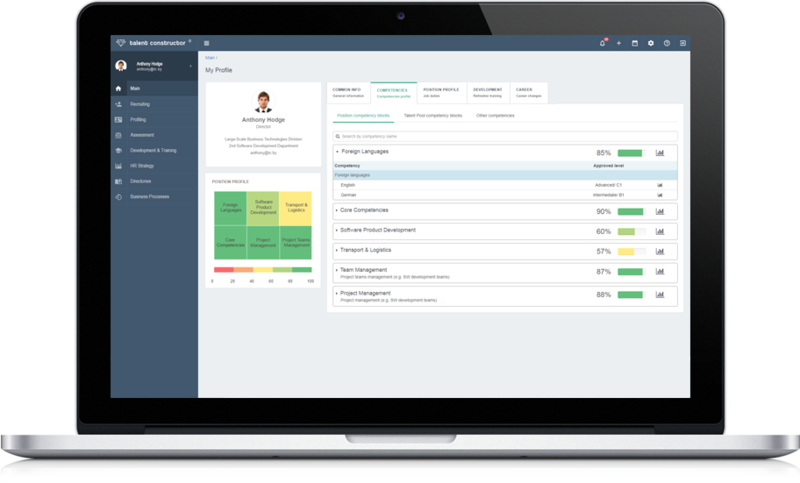 HR strategy provides handy tools for analysis and decision making. It fosters HRM transformation into a key business-focused component of the company strategy. Synchronization of the company’s division-specific operation. IBA Group wins in the category «Choice of Experts» and receives the second–place prize in the category «Republic» for its project “Talent Constructor – HR Competence Management Portal in HR Brand Award of Belarus 2015”. On December 9, 2015, the awarding ceremony of HR Brand Award of Belarus 2015 took place at the Renaissance hotel. HR Brand Award Belarus is an annual independent award for the most successful work in strengthening the reputation of the company as an employer.